Ding dong merrily on high, it's time to dust off your Christmas jumper, gets some logs in the fire and put your feet up with a stream of Macaulay Culkin and the gang in Home Alone. Long before Chris Columbus directed that small hit you may have heard of – Harry Potter – he absolutely nailed THE Christmas film in the form of Home Alone. From hilarious traps hurting bad guys, like a real life cartoon, to one classic Christmas song after another on the soundtrack, this is a timeless winner. As with only the best Christmas films, every broadcaster is no doubt fighting to show it. So while you might be able to catch a viewing, likely with adverts, at some point over the Christmas period, we've got a way to watch it whenever you want and interruption free. Can I watch Home Alone on Netflix? No luck this Christmas season funny festive film fans. It's a no-no-no from the Netflix geo-locations we checked, we're afraid. And that goes for the superb sequel Home Alone 2: Lost in New York. Can I watch Home Alone on Amazon Prime Video? While this might not be in your Prime listing, it is on Starz in the US which is an Amazon Prime channel requiring a further subscription. That does come with a 7-day free trial, so may be worth a look if you already have Prime and want to get your fix of Kevin and family. No Netflix this year Australians, sorry. That means you'll need to pay for a rental to enjoy the movie but don't fret, there are plenty of options. So Home Alone is looking annoying enough to stream in some of the biggest English speaking countries in the world. We dread to think how difficult it is elsewhere, and we're guessing that some countries won't have it at all. If you fall into that category, then there is a little workaround you can try using a VPN. 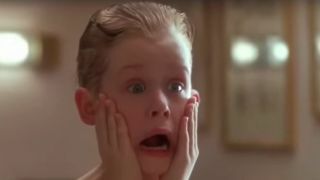 A VPN lets you virtually relocate your IP address to one in another country and therefore watch a Home Alone stream as if you were in that country (although you'll likely need a localised debit card for most services). ExpressVPN is the VPN that we think is the best of the lot thanks to its speed, security measures and straightforward interface. We also like that it's compatible with streaming devices such as the Amazon Fire TV Stick, Apple TV, Xbox and PlayStation. Where can I watch using a VPN? A VPN will enable you to watch the film from literally anywhere. So that obviously includes: US, UK, Israel, Belgium, Canada, Germany, Denmark, India, Netherlands, Spain, Brazil, Belgium, Romania, Mexico, France, Sweden, Italy, Portugal, Czech Republic, Ireland, Poland, Kenya, Hungary, South Africa, Indonesia, China, Nigeria, Bangladesh, Russia, Japan, Egypt and more!